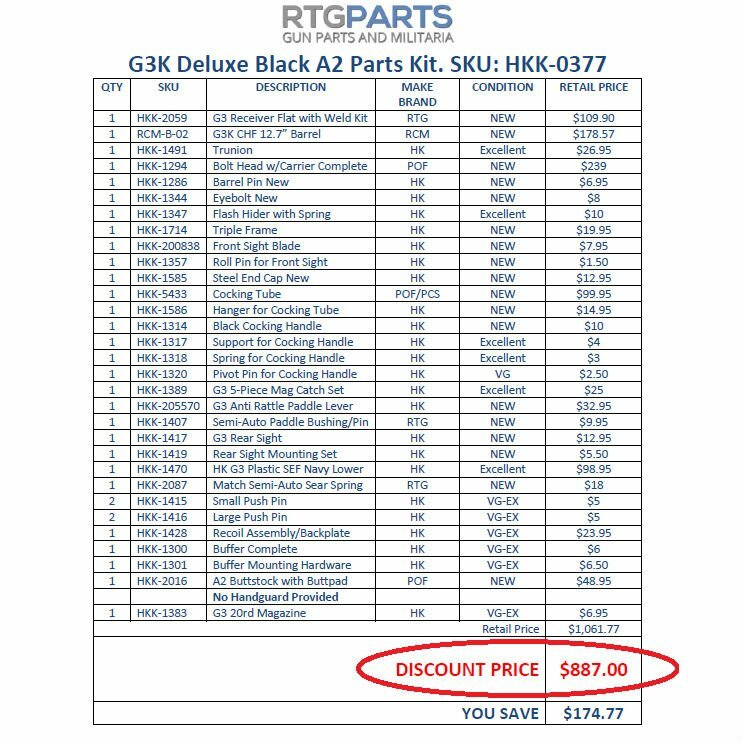 Our G3K deluxe parts kit is the perfect way to start your G3K build. 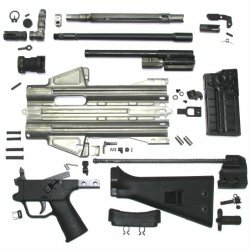 If you only want one high-end G3K, this is the kit to use. 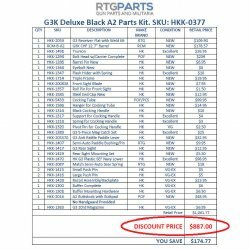 If you search and compare available G3K parts kits we believe you'll find we offer a huge advantage in both value and quality. In fact the more research you do the more we know you'll find there is no comparison at all. 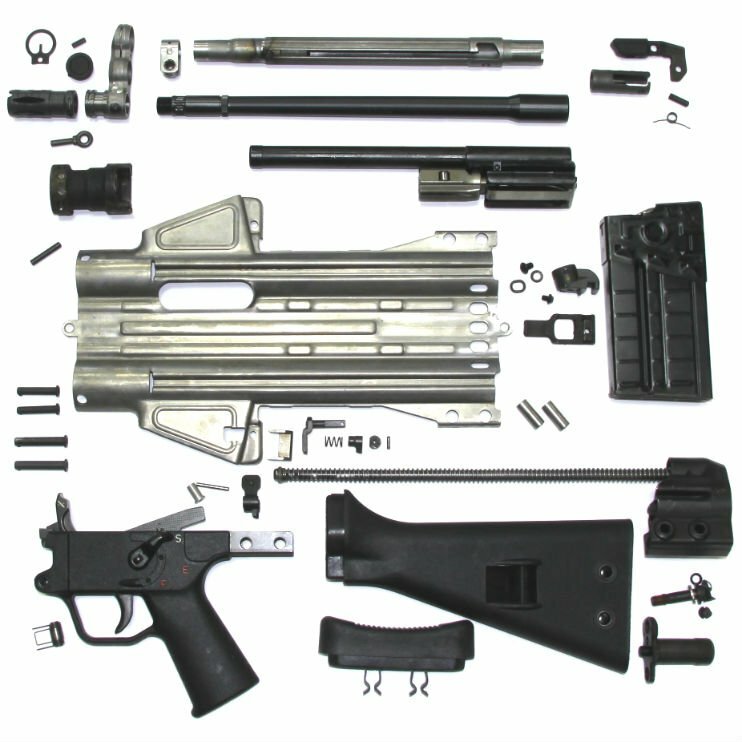 Please see image two for a complete parts breakdown. The vast majority of parts in this kit are brand new and German. The few used parts are hand selected German surplus in very good to excellent condition. Barrel is the fantastic RCM Cold Hammer Forged 12.7". Please note this kit is complete less handguard. No handguard is included but we do have several handguard options that we try to keep stock.